It’s weird that different species of hominids are called different races in fantasy settings. When someone says, “Gnomes are for punting” I want to say something like, “That’s racist.” But I don’t because I feel like it would be taking a serious real world issue and reducing it to a joke in a way I am not personally comfortable with. Kaldorei, the night elves; Quel’dorei, the high elves; Sin’dorei, the blood elves; San’layn, the dark fallen all appear to be different races of elves, while Harpies, Naga, and Satyrs seem to be different species. Things get way more complicated when you throw undead in the mix. The forsaken would be humans, that have the same DNA as other humans and could even be parent/sibling of humans, but are so different as to need some other category. I’m not sure what should or could be done about it. It’s just something that makes me feel awkward sometimes. I’m maybe more keenly aware of it because my family is diverse. I have a step-son that is mixed race. He always makes light skinned blonde haired characters. I tried once to counter him by making a dark skinned, black haired character. All the races in game have dark hair as an option, but I found it weird that gnomes and blood elves (both races that are mostly limited to human skin tones) don’t include any dark skin tones as humans and dwarves do. Dwarves took everything from Gnomes in Warcraft 3. Now I’m taking something from them! It would create an amazing opportunity for some very funny lines, and give us a tiny glimpse in to what gnome were doing in Warcraft 2. With all the books that have been written and references to the history in the Warcraft Universe, we never hear anything about what Gnomes were doing in Warcraft 2, even though they were there on the front lines. 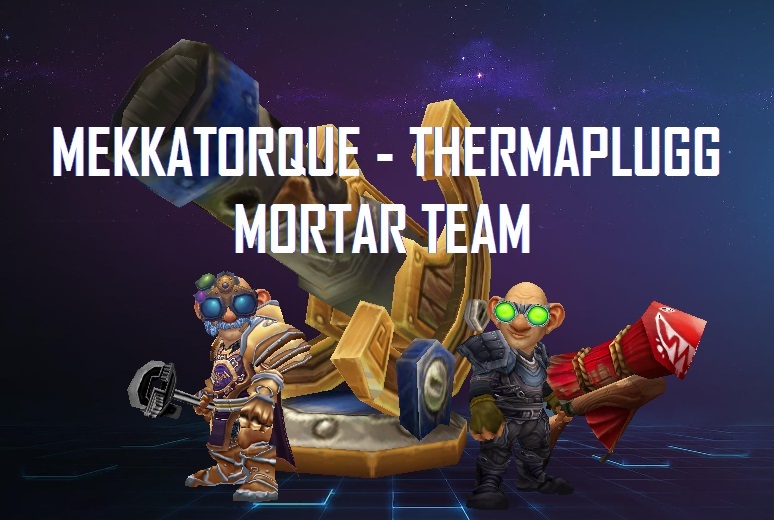 I imagine that Mekkatorque and Thermaplugg are both Veterans of the Second war, but there is zero information or history about them prior to the Third War. As much as gnomes need more presence in the current story lines and expansions, we need history too. For us to build our characters and fell like we are a part of the world we need to know what Gnomes have been up to during the major events of the world. Anyway, look at how awesome this mock up is? And isn’t “The Grand Betrayal” a GREAT name for an ultimate ability! ?